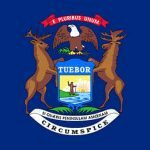 The first Senate hearing in 2013 that pertained to online gambling was held yesterday and focused on problems the industry faces in protecting consumers. Four expert witnesses provided testimony before the U.S. Senate Subcommittee on Consumer Protection, Product Safety, and Insurance. The hearing was available via a live stream on the government website. The hearing kicked off with comments from subcommittee members that included Sen. Claire McCaskill (D-MO) and Sen. Dean Heller (R-NV). The Nevada Republican’s ability to drum up support among his colleagues is seen as crucial in getting an online poker bill passed on the federal level. Mention was made of regulations progressing on the state level. This led into the testimony of the first witness, Chuck Canterbury of the Fraternal Order of Police (FOP). The FOP national preseident expressed his concerns about online gaming sites being used by terrorist groups to launder money. Canterbury stressed that federal regulation is needed because a patchwork of laws on the state level will not be effective in preventing these criminal enterprises from moving their illegally obtained funds. The president of the Catholic Advocate, Matt Smith, was next in line to address the Senate subcommittee gathering. Religious groups have long been opposed to the expansion of online gambling. Smith did not stray from this agenda in warning that online poker and gambling is a societal ill that must be stopped before a new generation of youngsters and problem gamblers become afflicted. A Washington, D.C. attorney followed Smith’s spiel by spelling out the ties associated with gambling and organized crime. Jack Blum advocated strict licensing standards for gaming websites in order to prevent the criminal element from infiltrating the industry. The lawyer likened casino operations to that of a bank and also warned that the digital currency Bitcoin is another tool being used by miscreants to launder money. Concluding the day’s panelists was a specialist in technological security by the name of Thomas Grissen, whose role as CEO of Daon puts him at the cutting edge of Internet security procedures. Grissen demonstrated technology that uses voice and facial recognition procedures in order to keep minors and those suffering from gambling addiction from gaining access to gaming websites. 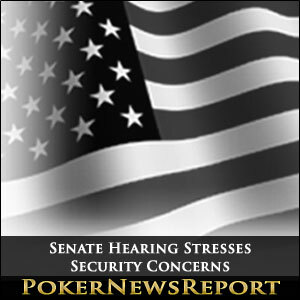 The subcommittee hearing shed light on the need for both federal regulation of online poker and gambling, as well as strict security measures in order to make sure the industry does not allow further opportunities for crime. A follow-up hearing has not been scheduled. But this certainly won’t be the last Senate hearing to focus on Internet gaming issues.